Our history runs from deep within the Central Valleys of Oaxaca and ready to be shared with the world. For more than 100 years, the Carreño family has been producing artisanal mezcal in San Dionisio Ocotlán, a town of just 1,000 people in Oaxaca Mexico, using traditional and sacred techniques passed down from generation to generation. 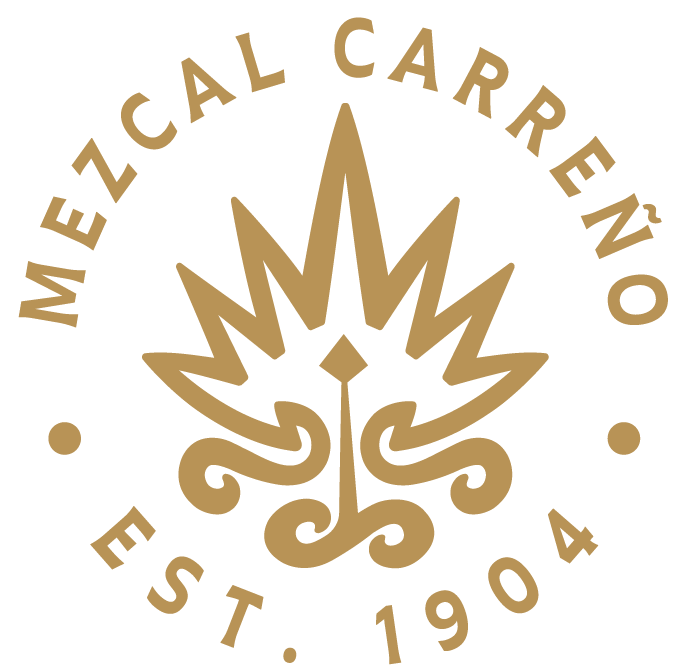 Mezcal Carreño started in 1904 with Don Apolonio Carreño. He had mezcal made from the wild agaves that grew naturally on his property, land that ironically was used to grow sugar cane and sold to the family of the largest rum producers. As a cherished spirit meant to be enjoyed on special occasions, Apolonio only sipped on his homemade mezcal with his family and friends on three times a year: his birthday, the start of the planting season and the end of the harvest. Apolonio’s son, Pedro Carreño, continued the tradition of making mezcal to share with loved ones during special occasions, but wanted his children pursue their own dreams and experience life outside the family farm. He sent all of his 10 children to college to continue building better life for themselves. It wasn’t until 2010 when his daughter, Lorena, realized that she wanted to go back to the family roots. By this time the Carreño family’s mezcal was well-known throughout the community, and Lorena made it her mission to make it official. She certified the family’s mezcal with the Mexican Regulatory Council of the Quality of Mezcal (CRM), and Mezcal Carreño has been sold all over Mexico ever since. Mezcal Carreño’s journey now continues in the United States thank to Ivan Carreño, great-grandson of Don Apolonio and nephew of Lorena. Born in Oaxaca and raised in Arizona, Ivan spent several years working in corporate America while maintaining his Oaxacan roots. Driven by his family’s rich culture, history, and heritage – along with the realization there was nothing close to his family’s mezcal in the tequila-dominated American market – Ivan sought to bring his family’s signature spirit north of the border. 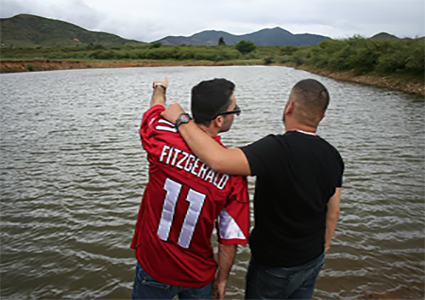 He quickly enlisted the help of his best friend of more than 15 years, Abel Arriaga who studied global business marketing at Arizona State, and together they worked tirelessly to introduce Arizona to the rich and complex flavors of Mezcal Carreño. Ivan and Abel’s passion for bringing people together, enjoying the moment and sharing life experiences resonates with the meaning of mezcal valued by families of Oaxaca for hundred of years. Now they air to inspire more “Mezcal Moments” and to build a culture bridge from the Central Valleys of Oaxaca to the Valley of the Sun through mezcal, art, food and history.